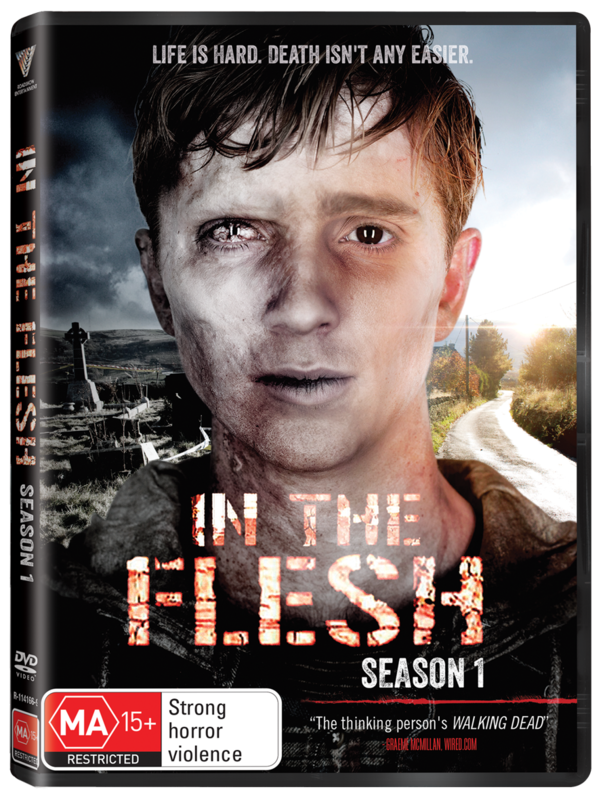 Thanks to our friends at Roadshow, we've got 5 copies of IN THE FLESH series 1 on DVD to give away! Taking place in a world after ‘The Rising’ (the Zombie apocalypse), where for the first time, there is a cure for zombiism, or as it’s known by the new politically correct term - PDS (Partially Deceased Syndrome), PDS sufferers must try and reintegrate into society. But with dark forces working against them, namely the Human Volunteer Force, things aren’t so easy for the formerly undead, particularly for teenager Kieren (break out star Luke Newberry), who is about to return to his home town to try and start his life again. Deeply psychological, emotionally powerful, cool and cutting edge, IN THE FLESH is a unique mash of genres and a darkly funny new take on the Zombie phenomenon. 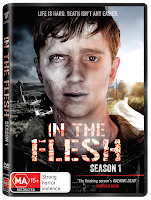 IN THE FLESH is available on DVD from October 16th. All you have to do is fill out the form below and you're in the running! Don't forget, you can get yourself a bonus entry just by following us on Twitter or liking us on Facebook! Entries close 11:59pm on Sunday 27th October 2013. Your details will not be used in any way other than for the delivery of your prize. Geek of Oz and Roadshow do not take any responsibility for the loss, damage or delay of/to prizes sent to winners (blame Australia Post for that one). The judges decision is final and no correspondence will be entered upon. One entry per person, subsequent entries will be void. Incorrect answers will be void. Prizes are not redeemable for cash or any other kind of trading currency such as creds, latinum, sen, kan, zeni, double dollars or Ankh Morpork dollars. Geek Of Oz take no responsibility for head explosions caused by utter awesomeness. This competition is only open to Australian residents. Any questions or queries can be submitted through the comment section at the bottom of screen. Good luck!